Something that frequently gets mentioned here is our passion for Overdrive. We both love to read and listen to an incredible amount of audiobook while driving. I actually prefer an audiobook while running over music. Having access to so many titles lets us explore interest and sometime just pick some fun read for the entertainment. For my traveling friends this is a great way to access book without the bulk of physical books and the cost we can rack up. Josh thought it was about time that the technology got a special feature. So here we go…. This is your connection to Millions of digital titles, via your local library. 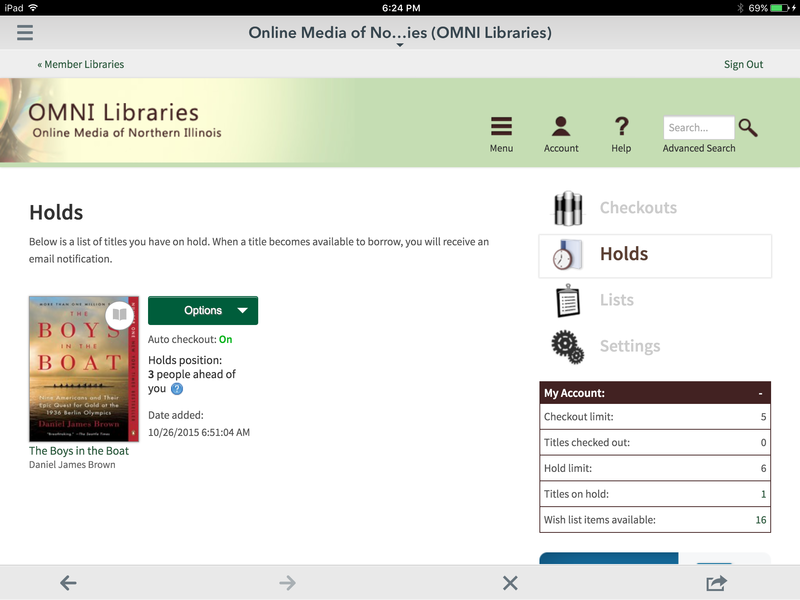 Overdrive is a program that your library (or more likely your library system) has signed up for to provide patrons with access to digital resources. These are not just the classics but just about any genre you can wish for, especially what it popular. They use the tag line of; Read, Listen, Watch, Enjoy. 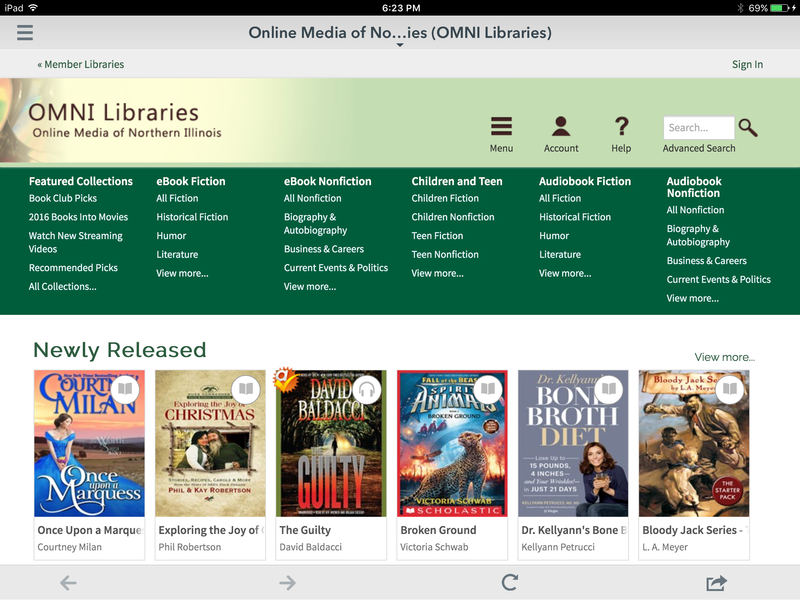 Overdrive is a lending system for eBook (ePub and Kindle), audiobooks (available via the multi-platform app), and digital movie downloads. I can tell you that I have yet to interact with anyone who’s local library is not engaged with Overdrive. However not all programs are created equally. The library in Eagan, MN only provides eBook, while the branches in Kansas City get listing that aren’t released yet. Well…it’s free. Your tax dollars are already paying for it and all you need is a library card. Getting and using Overdrive also helps to expand the program. This you should care about, anything you can do to help your community gain more lending resources is close to my heart. Libraries are the only place that many in a community can access services and entertainment to expand minds. Smarter kids, smarter communities. I typically browse and checkout titles on the iPad app, but you don’t need to. To get started I will explain this via the app and add notes for desktop. While I use an iPad you can use any platform, desktop, kindle, android whatever you have or prefer. 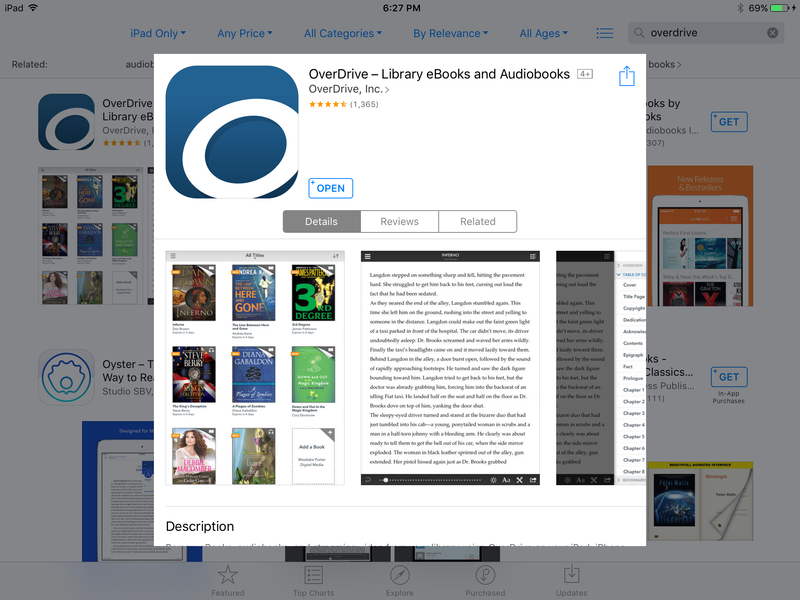 To get started either visit overdrive.com or search for the app in the app store. Once loaded grab your library card to get registered. You will need to have or sign up for free adobe ID and I would also recommend signing up for an Overdrive account, lets you sync between devices. These are both free accounts and you are walked through the process during set-up. After setting this up you will be prompted to search for your library. This is actually the trickiest part. You might need to search by branch name and by city to find the correct one. Once you’ve located the correct one, it’s time to sign in. (your selection will also be saved on the side menu for the future). By tapping the account icon you are taken to a sign in page. These vary by region. You might be asked first to select which branch you are a member from, prompted to enter your card member, and on some provide a password. 90% of the time your password is the last four digests of your phone number, in the chance it is not (like my mother, just call or stop by your library for this information). Once you are signed in, it’s go time. Just search for a title, an author, or browse a collection. How long can I keep items for? I don’t want late fees! There are no late fees; once a title is at the expiration it is removed from your checkouts. 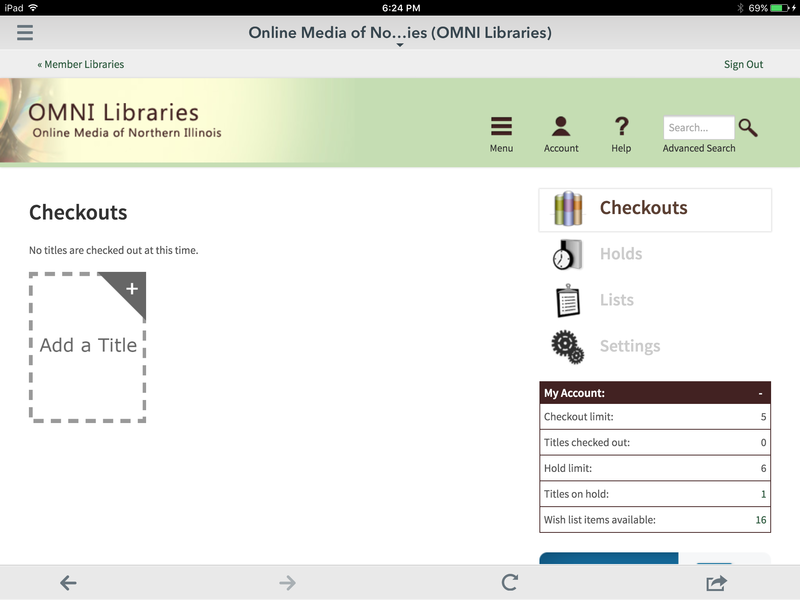 Many libraries have varies checkout periods and you can find those settings on your account page. How to make it work for you. For most lending sites you will need to be signed in to access the entire catalog, don’t bother searching before signing in. I highly recommend you use the list functions. You are allowed to put a title on hold and will be informed when that book has come available, there is a limit to how many holds and checkouts you can have at one time but that information is available on your account page. Don’t be afraid to put something on hold, you can always change your mind. The list is exactly that, a place to keep track of titles you’re interested in but might not be ready to checkout. After you have check out a title it can be viewed and loaded via the bookshelf page. 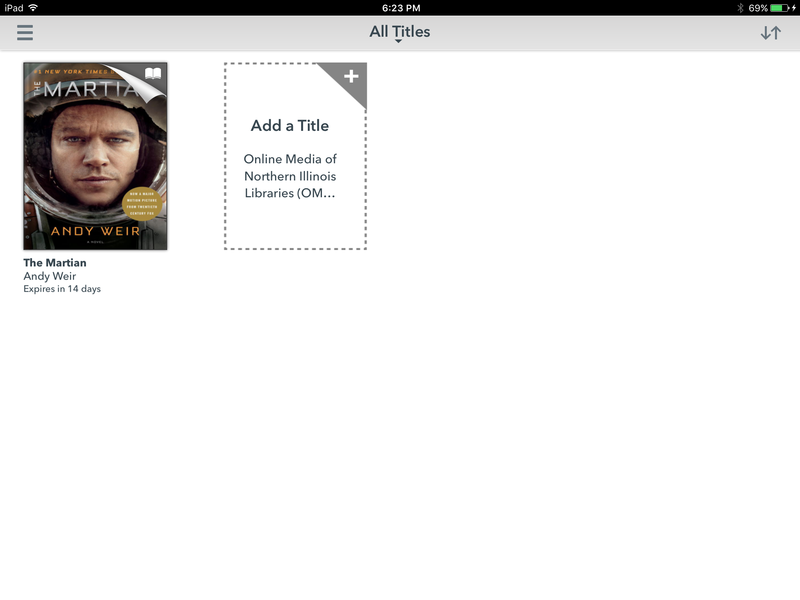 This allows you to choose the format of viewing (ePub or kindle). The app must be open to load titles (eBook and audiobook). That is a touch inconvenient but oh well. After you have finished a title you can return it, I highly recommend this. Be a courteous patron. From the overdrive app you press the tittle images and can see the prompt to return. From Kindle you must visit the “manage my kindle” page and select the return option from there. Hopefully I have inspired you to at least try it. This entry was posted in Travel Tuesday and tagged Lending ebook, Overdrive, Travel Tuesday. Bookmark the permalink. I have been using Overdrive for the last 3 or 4 years. I never downloaded the new format and the old one does not remove books after the expiration date. See if your library also uses Hoopla. It is similar to Overdrive, but it can read on your tablet. We also have Flipster which provides magazines for free. I walk a great deal(over 160,000 steps last week) and I never listen to music, only books. I can walk forever with a good book. I you care to share books, I am finishing X by Sue Grafton and it is really good.